Happy Monday friends! 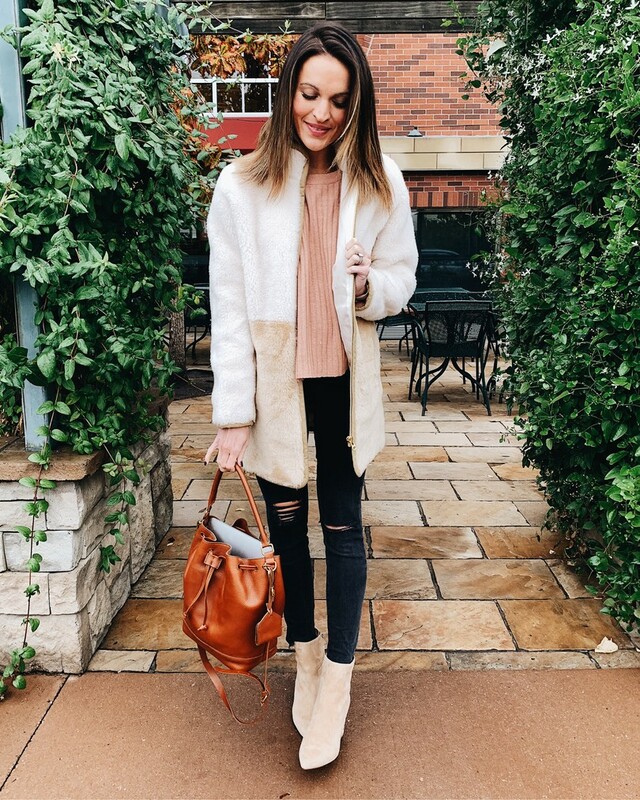 With November here, I wanted to talk about two of my favorite things: fall fashion + must-have wardrobe basics. I don’t know about y’all, but sometimes shopping for a new season can be overwhelming. You see all the new fall stuff come out – booties, sweaters, jackets, etc – and you literally just don’t know where to begin (or, you just want to buy it all haha). I’m hoping today’s post can make that a little more simple + less overwhelming for y’all! 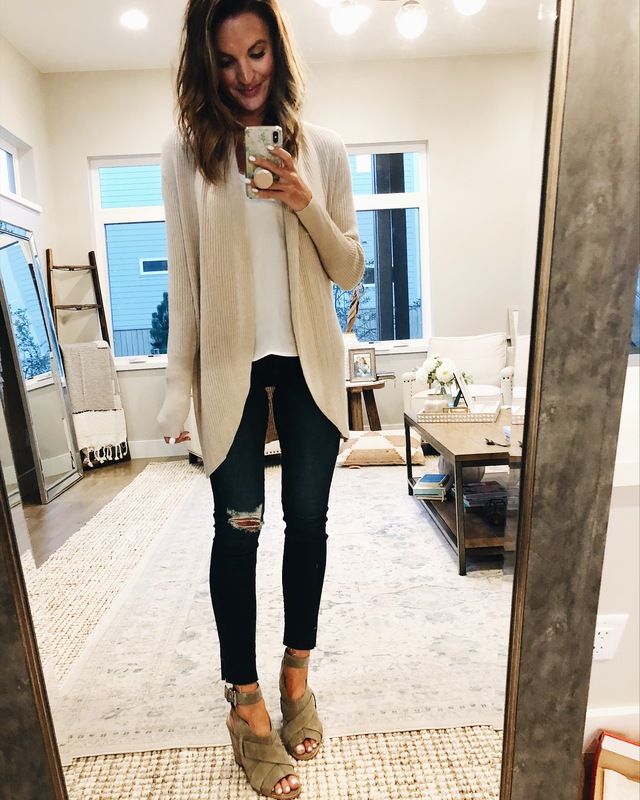 So I thought it would be fun to look around my closet and narrow down which clothes are the must-have’s for fall – the pieces I reach for multiple times a week and can wear so many different ways. Today I’ve rounded up what I think are the best fall basics that you can wear again and again, for years to come. They’re pieces I think are not only great quality, but are also versatile enough to carry you through the whole season. So I’m going to break down the essentials plus show y’all a few ways I’ve worn them. 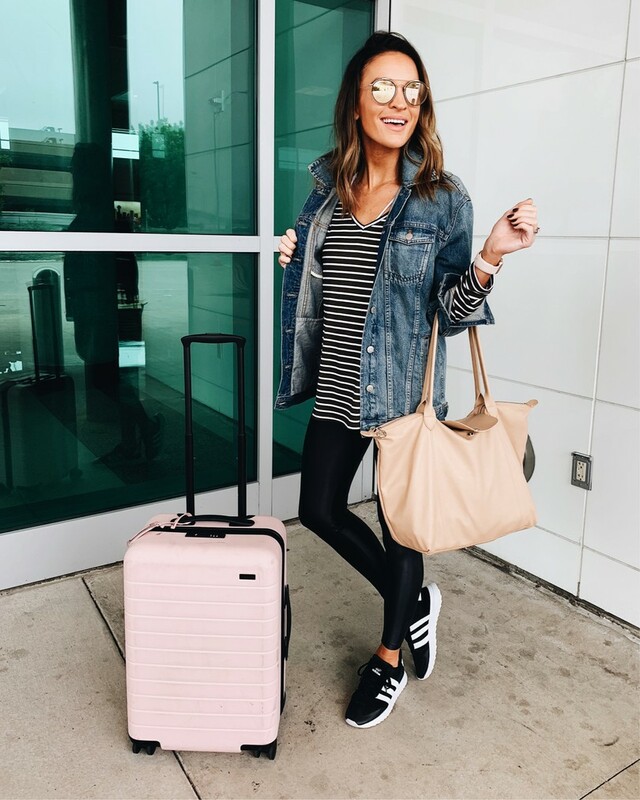 My hope is that these ideas either 1. these are things you already have in your closet and you’re inspired to wear them in new ways or 2. you have better clarity about how to build your wardrobe + guide your shopping! I have yet to hear of anyone being disappointed by these jeans! Seriously, they’re not only SO comfortable (and this is coming from a girl who lives in leggings), but they’re also extremely flattering on every body type. I’m a firm believe that good denim is a major wardrobe staple year round, and especially during the cooler months of fall/winter. This is a great example of versatile denim that can be dressed up or down. The ditressing is minimal and just the right amount, and you can seriously wear anything with good black denim. I also just got this pair of dark wash jeans by one of my favorite brands, and I absolutely love them! They are perfect if you’re looking for a pair of quality jeans you can wear for everything. Plus, they will honestly hold up well for YEARS. It is so important to find the right booties for fall and I’ll be the first to admit the selection can be SO overwhelming. I really think finding a good pair of black booties is a must. You can wear them with everything, so many different ways and for so many different occasions. They’re great with dresses as you’re transitioning into fall, but also the perfect go-to bootie for the rest of fall and winter. I got this pair of booties last year and I can’t even begin to count how many times I’ve worn them. The block heel also makes them super comfortable and easy to walk around in for a while. Olive green is truly one of the prettiest neutrals IMO and I can’t get enough of it this time of year. 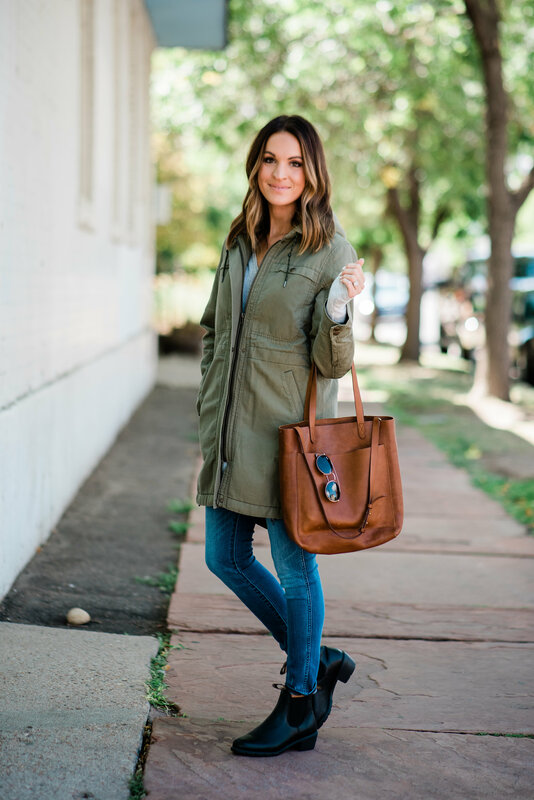 An olive green jacket is one of those statement pieces that you will find yourself reaching for ALL. THE. TIME. There’s just something so feminine and sophisticated about it. 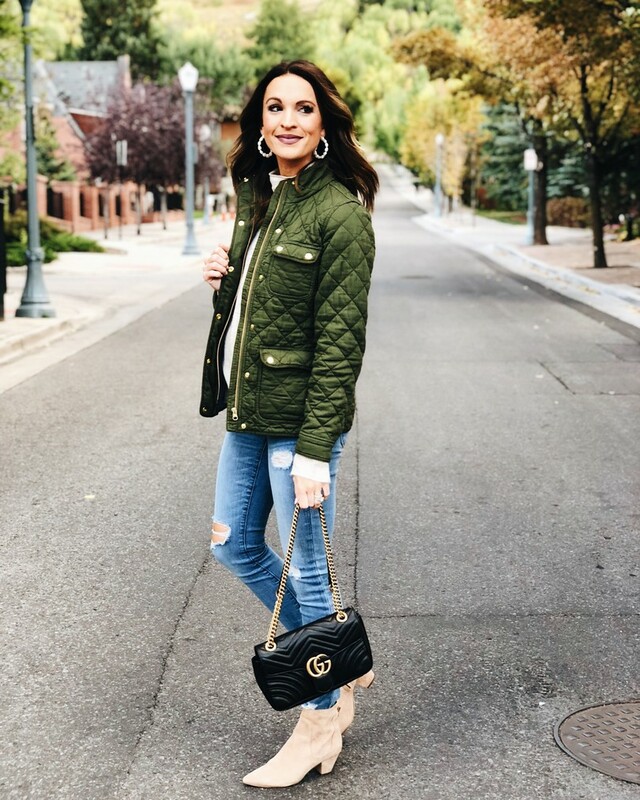 This quilted jacket has such a flattering fit and layers so well over everything. 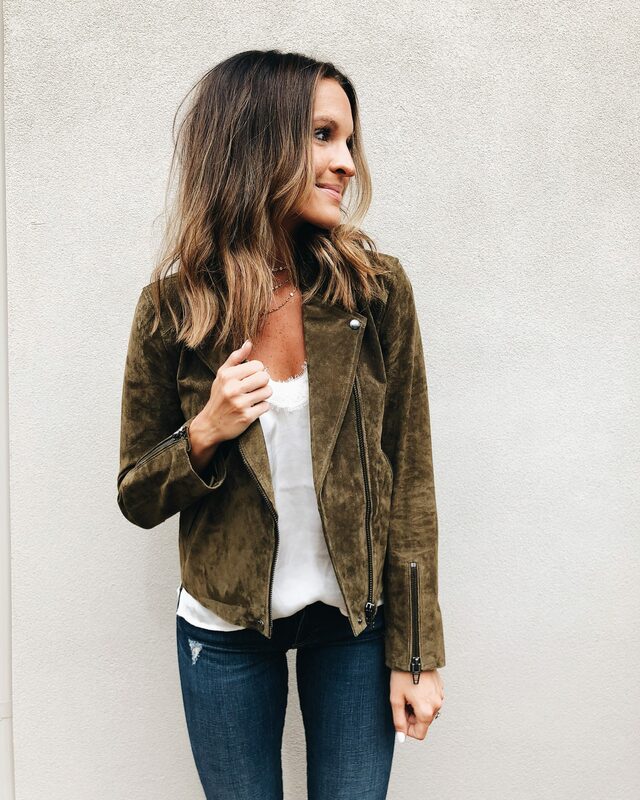 And then we all know I’m completely obsessed with this suede moto jacket (color is ‘bank roll’). It’s equal parts chic and sassy, and it’s another timeless piece that you will get so much wear out of. Generally speaking, outerwear can be a little bit of the pricy side but these are jackets you will wear for years. The quality is incredible, too! For size reference, I got a small in both jackets so I could easily layer sweaters, etc, underneath. There is just something so classic and timeless about a good turtleneck, and yet I think they can be so hard to find! Either the neck is itchy or the sweater just lacks any real shape, etc. But when I found this rib knit turtleneck, I instantly fell in love and knew I’d be wearing it all fall! It’s super soft, not itchy at all, and is just the right amount of ‘oversized’. It drapes so beautifully without looking baggy, and you can wear it so many ways! It comes in several colors and is just one of those sweaters you’ll find yourself reaching for constantly. 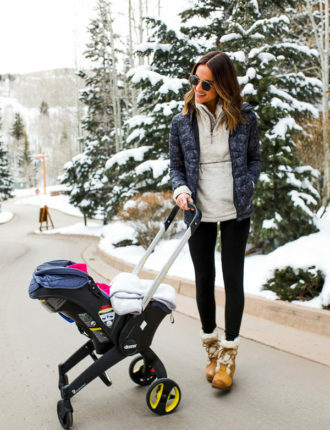 So perfect to just throw on with your fave jeans or leggings and walk out the door! This is probably one of the more obvious items on the list, but it’s worth mentioning because it can be hard to find the perfect pair. Tan booties are definitely a must-have fall basic. You can wear them with everything and they’re just such a signature piece for fall. Plus, since you wear them literally all the time, you want to find ones that look AND feel good. This year my favorite pair are these Vince Camuto ones. Not only are they so flattering (they elongate your legs! ), but they’re subtly incorporate the western trend without being overwhelming. The exact color I’m wearing in these photos isn’t available anymore, but the new ‘bedrock leather’ ones are OMG so perfect. They’re a slightly more taupe-y tan, which is a perfect neutral. These leopard loafers are also a great neutral shoe option. I love adding a little pop of leopard to an outfit, and these shoes are also work appropriate! Y’all know I can never say no to stripes, and I think you have to have a good black + white striped tee in your closet at all times. It’s perfect for layering under cardigans and jackets, and you can easily accessorize it with a good scarf or statement earrings. I’m layering mine in both of these photos (with the cape and then with this striped sweater). I love that this tee is super light too, so you can layer over it without being too warm. This is probably another obvious one, but every fan wardrobe needs a great cardigan. 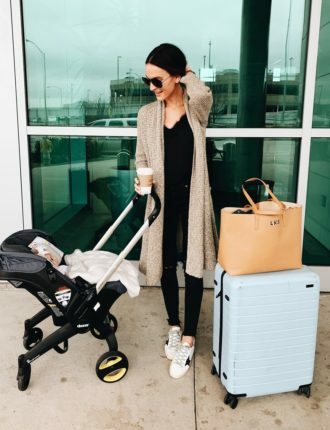 I literally have this Madewell cardigan in pretty much every color. It’s soft, light, and layers really well. I also like that it’s a little longer and never pills. It’s definitely a little oversized, so go down one size if you’re between sizes. This leith shawl cardigan (in the last photo) is a fave too because it has the most beautiful shape! 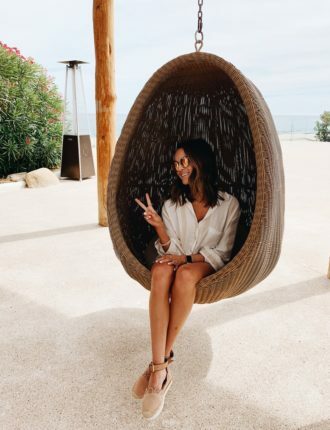 It’s a subtle cocoon shape, which is so cozy and flattering. 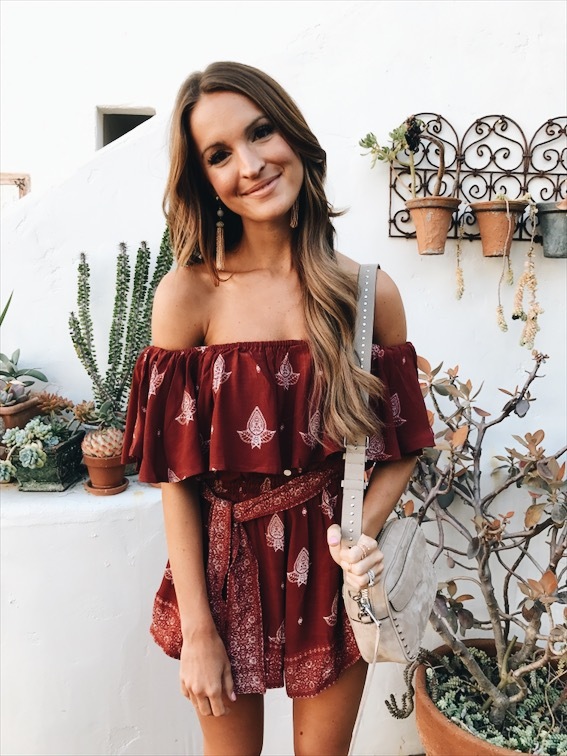 I hope this post helped you feel inspired about your current wardrobe or at least narrow down your fall shopping list! Fall fashion is truly my favorite and these are the pieces I get the most wear out of year after year. Thanks for reading! 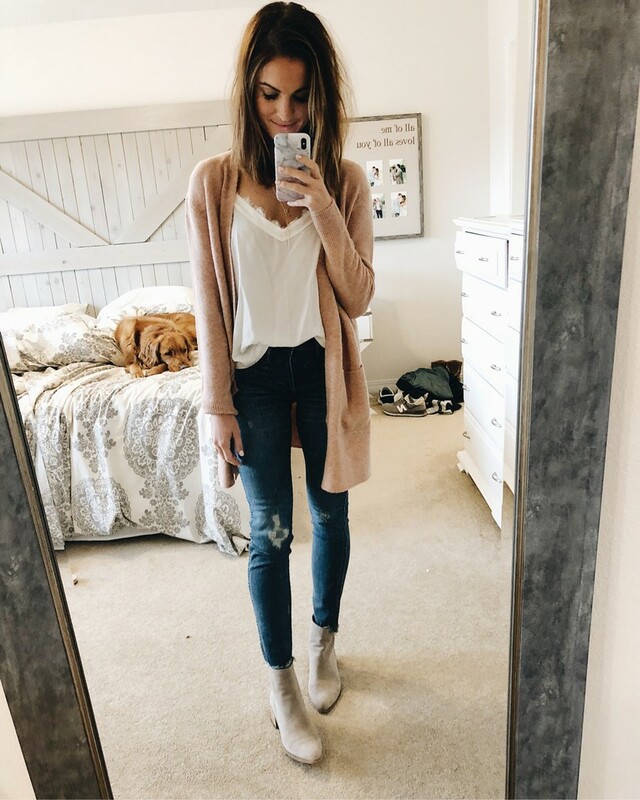 Where is the rust sweater/top from that you’re wearing with the black ripped jeans? What are those shoes you have on with your Madewell denim? I’m obsessed! Are they Veja? Thank you! !